Global warming is one of the most urgent environmental problems facing us today. A reliable projection of future climate change requires an accurate prediction of atmospheric CO2 concentrations, which depends on CO2 emissions and its absorption by the ocean and terrestrial biosphere. 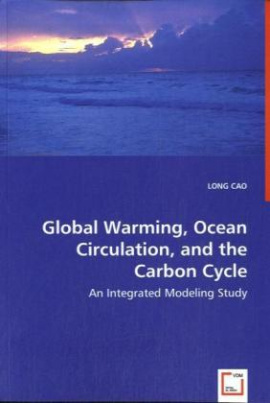 Here we use an earth system model to investigate how increasing atmospheric CO2 concentrations and climate change would modify the physical, chemical, and biological properties of the ocean, and how they affect the ability of ocean to continue act as a carbon sink. A number of issues regarding climate change, ocean circulation, the carbon cycle, and their numerical modeling are discussed. This book should help to improve our understanding of the interactions between global warming and the carbon cycle, and reduce the uncertainty in the projection of climate change. It should be useful to researchers, students, or anyone interested in climate change and the numerical modeling of the earth system.